I’m not a person who owns a lot of yellow, but something about this bright, happy hue always puts a smile on my face. Lucky for me, there’s a lot of it out there this season! I added a bunch of new colorful finds to the BRIGHTS section on THE SHOP yesterday, like this tiered maxi (so fun for a summer wedding! ), this mini beach tote, this bold one-piece, and this multi-color striped Mark Cross bag. Updating THE SHOP is one of my favorite things to do, because it’s basically just a running list of items on my wish list! You could call it my real time EDIT, if you will. Y’all know how much I love an oversized blazer, don’t you? 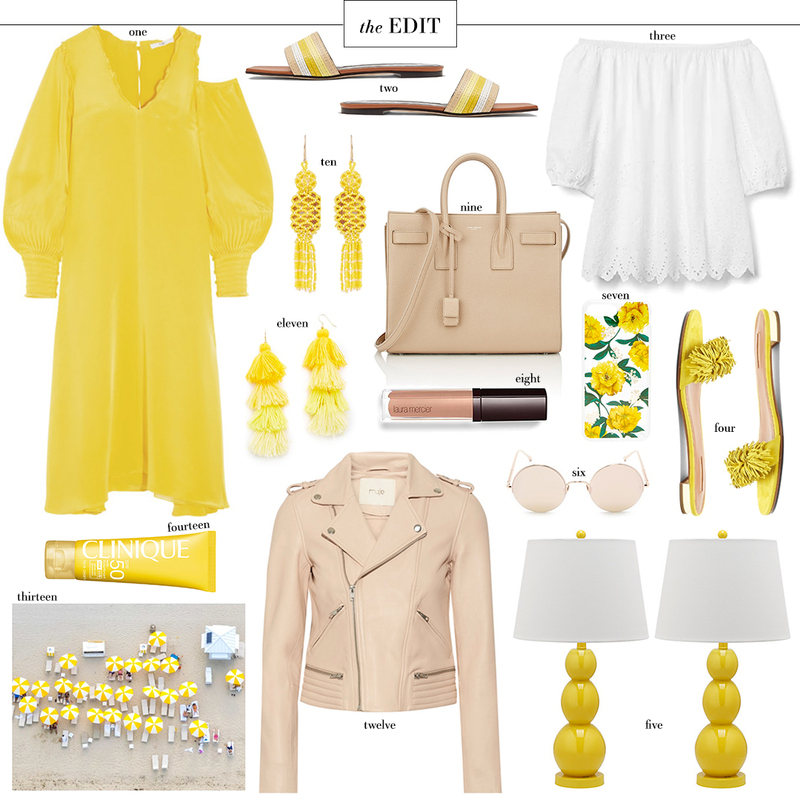 This lemon-yellow look is different and FUN. This bikini and matching dress are the most darling pieces I’ve ever seen! Leave it to Delpozo to give you the right amount of volume and the perfect pop of color all in one dress. Lots of weddings this summer? This Lela Rose number is an absolute dream. Add some color to your pajama drawer with this cute and cozy yellow jersey set! If you love a breezy swing dress situation, this Sea New York dress looks ideal for hot summer days. love how cheery this is!